The central bank gives loans to commercial banks against eligible securities or by rediscounting bills of exchange. 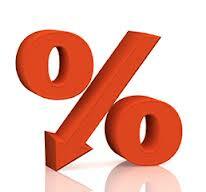 Bank rate affects the cost and availability of credit. It is important because it is the pace setter to the other market rates of interest. The money market rate will automatically adjust to the bank rate. The central bank can change the bank rate to change the money supply in the economy. i) Restrict borrowing ie they will increase their market rate to cover the increased cost of borrowing. This will discourage the business community from borrowing and therefore loans and advances of commercial banks will reduce leading to a fall in investments, fall in employment and fall in money supply. This will reduce aggregate demand in the country and check inflation. ii) Check liquidity in circulation – due to increase in market rate, the rate of interest on deposits will increase. Existing customers will increase their deposits and new customers will be attracted to deposit more money. The liquidity in circulation will therefore reduce. This policy is known as the dear money policy, tight money policy, credit squeeze policy or contraction of credit. i) Promote borrowing ie they will decrease their market rate because of a fall in the cost of borrowing. This will encourage the business community to borrow and therefore loans and advances of commercial banks will increase leading to a rise in investments, rise in employment and rise in money supply. This will increase aggregate demand in the country and check deflation. 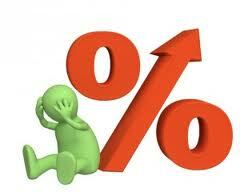 ii) Increase liquidity in circulation – due to decrease in market rate, the rate of interest on deposits will decrease. Existing customers will decrease their deposits and new customers will not be attracted to deposit money. The liquidity in circulation will therefore rise. This policy is known as the cheap money policy, expansion of credit.